How Keyword position Checker Works? This tool mainly scan your website with your provided keywords in search engines. It do the same job which you can do manually. But the benefit of using this tool is it will save your lot's of time. For manual checking it may take up to 15-60 Minute for a keyword. But our tool can give you the same result within 15-60 seconds. Our powerful script works in this fastest way. The Keyword Position Checker tool offered by Free SEO Tool is very smooth in operation and helps you to scan through search engine results and let you find about the keywords ranking. Earlier SEO experts use to check keyword positioning manually and it consumed lot of their precious time. The best thing about this amazing tool is that it allows you to get immediate results. The first step is to enter the domain name for which you are optimizing the keyword. The next step is to enter the keyword and press the submit button. As soon as the submit button is pressed, you will results getting displayed on your screen. The results are always accurate and get displayed within few seconds. One of the best things about this Keyword Position Checker tool is that you can check international keyword rankings. This helps you to enjoy the spot check facility as you get instant results that can be worked upon on immediate basis. Why to use Keywords Position Checker offered by FreeSEOTool.org ? 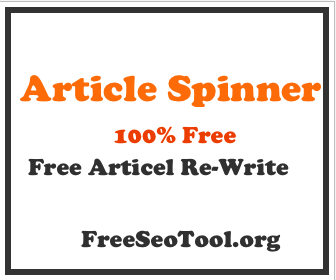 As told earlier as well, the Keyword Position Checker tool offered by Free SEO Tool is quite user friendly and helps you to get accurate results. This precision can help you achieve extraordinary results in a very less span of time. You can also prepare a detailed report for these keywords and come to know about which keyword performed well and which keyword is still having a lower rank. One of the main reasons why it is important to check keyword ranking is because it helps you to analyze the efforts that are being put while running SEO campaign. If you are getting higher keyword rankings then it means your efforts are going into the right direction and if you are getting lower keyword rankings then you may need to revamp your existing set of efforts for positive results. The first and the foremost important point are to make sure that keywords are chosen carefully. There are certain long tail keywords you need to consider and you need to be specific about them. The next important point is to make sure that relevant and less keywords are considered. Instead of aiming for large number of keywords, it is always good to consider fewer and quality keywords. You will definitely get appreciable results and your campaign will be able to sustain for a longer period of time. Apart from the above mentioned points, you need to make sure that quality content is posted across the website. In order to engage the website visitors informative, unique and engaging content is posted. Search engines always award such websites with higher keyword position thus higher search engine rankings. What to do after checking the keywords position? After checking the keywords position, you need to make sure that a detailed report is being made. While analyzing this report, you need to take special care about the keywords which have lower rankings. These keywords are required to be addressed separately and make sure that special attention is given so that you can get higher rankings for these keywords. As the search engine algorithms are becoming more and more refined and complex, there is an urgent need to polish your SEO campaign. Here comes the Keyword Rank Checker tool into picture as it helps SEO executives as well as experts to get amazingly accurate and genuine results. This tool is available free of cost and you don’t have to download anything to use this tool. Just enter the website name and the keyword and detailed reports will be presented in front of you. As more and more people have started using this important online tool, the future seems to be quite promising. With so many benefits available, the keyword Position Checker tool offered by the Free SEO Tool is one of the best online tools available right now. Just give it a sincere try and you will realize that you have made correct decision.